Craig, our Senior Survey Processor, is planning to reach the summit of Pen-y-Ghent (694 metres), Whernside (736 metres) and Ingleborough (723 metres) later this summer. A number of friends are joining Craig on the journey and they have set a 12-hour limit to complete it whilst aiming to finish in around eight hours. Their challenge is part two of a fundraising push to raise £1,000 for Mind. 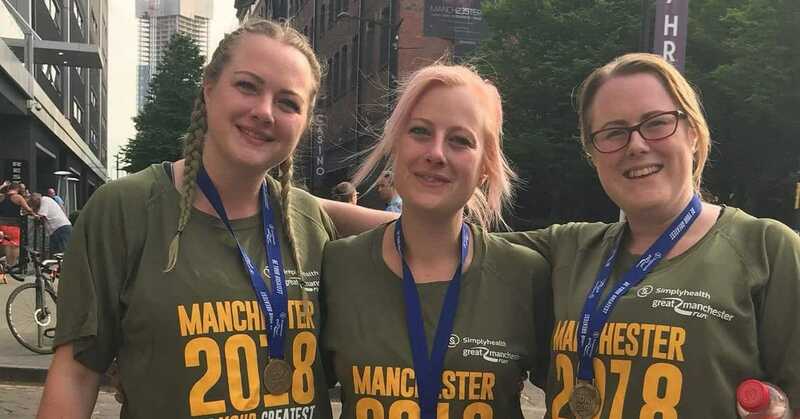 Part one was completed on 20th May when Craig’s friend Carly Longfield and her sisters, Donna and Jessica, took part in the Great Manchester Run. Their efforts were dedicated to the memory of their sister Chloe Wilson, who decided to end her own life last November, four weeks before her 17th birthday. Carly’s fundraising page is below - if you can spare a donation, it would be gratefully received as a contribution towards a very important cause.